Barkarole, Michaela Melián. Installation view, chamber two. Barkarole, Michaela Melián. Installation view, chamber one. Barkarole, Michaela Melián. Installation view. Nothing beats the thrill of discovery and evokes such a sense of wonder as when a work of art is perfectly manifested in an unconventional setting, catalyzing a new relationship between artwork, creator, place, and audience. 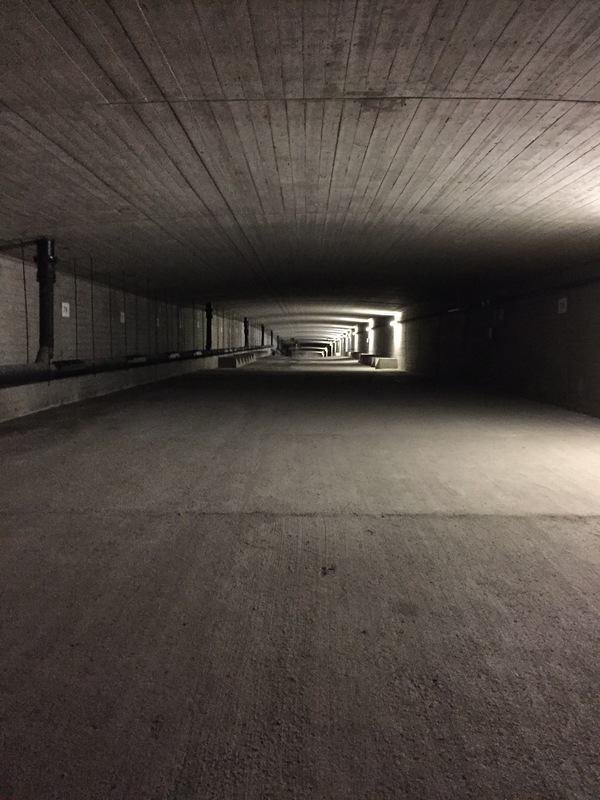 Brückenmusik is an annual sound event that has presented performances and installations since 1995 inside the cavity beneath the surface of the Deutzer bridge, which crosses the Rhein river in Cologne. The location could not be more remarkable and dramatic, both aesthetically and acoustically. Access, usually reserved for maintenence workers, is granted for one week per year to visitors for this event, which includes live performances, readings, and sound installations. To view this year's installation, visitors pass massive, roped-off piles of industrial infrastructure, climb a winding metal staircase, then double over through a child's-height entrance into a long, dark cavern that traverses the length of the bridge's underbelly. The installation was created by German visual artist and musician Michaela Melián, who achieved earlier fame as member of the German punk band FSK (Freiwillige Selbstkontrolle) and who is now professor of time-based media at the Hochschule for Visual Art in Hamburg. 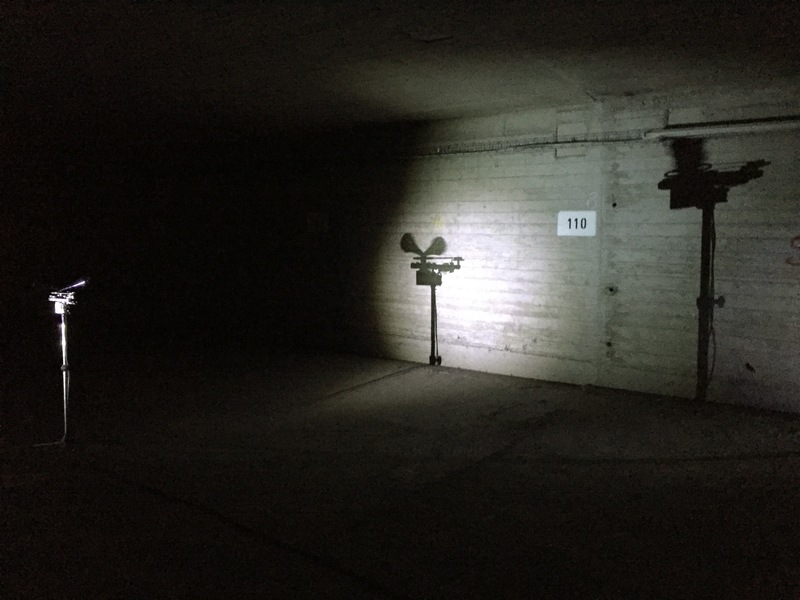 Titled Barkarole, the installation is comprised of dramatically lit loudspeaker groupings placed at intervals within the tunnel-like expanse. Each loudspeaker grouping broadcasts fragments from an overture to the opera Rheinnixen (Rhein Mermaids) by Cologne native son, Jacques Offenbach. As an allusion to the work's setting, Melián chose the same loudspeakers which are routinely installed on ships that traverse the river below, and which have the ability to broadcast sounds over long distances. The "siren sounds" that echo through the tunnel's three connected chambers also evoke the legend of the Loreley, the Rhein sirens who sang so beautifully they distracted sailors and caused shipwrecks. Fragmentary sound elements from the overture seem to call to one another through the expanse, as if attempting in vain to reunite once again into a single voice. The long underbelly creates a physical manifestation of a digital audio timeline though, and the visitor encounters one sound fragment, then another in serial fashion as s/he traverses the darkness. 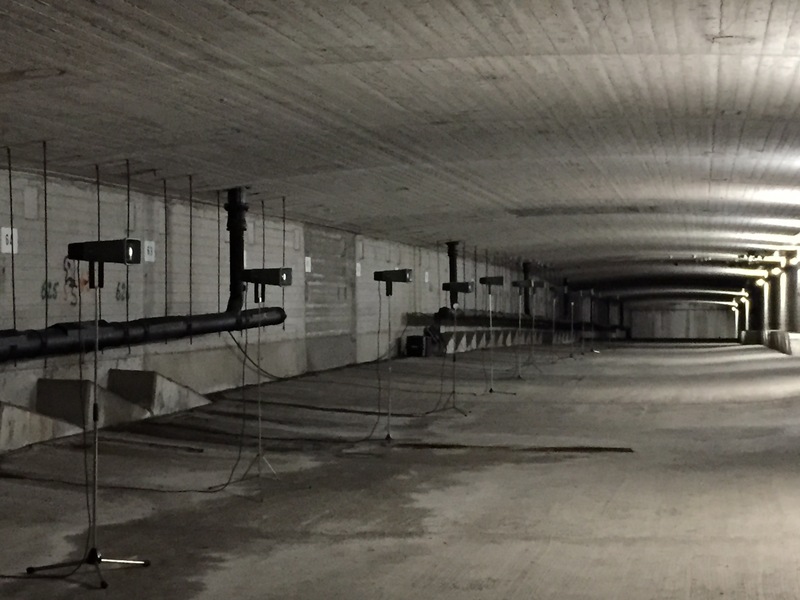 The incredible acoustics and specialized speakers allow the sounds from the first chamber to carry well through the distance and blend with the sounds emitted from loudspeakers placed in the second chamber. In the first two chambers, the earworm fragments chosen by Melián consist of plucked stringed instruments that blend and create asymmetric rhythmic interplays. In the final, darkened chamber the strings fade, giving way to sustained tones that seem to call out to the others. The intensification of so few fragmentary elements, which connect and disconnect over the distance, creates an aural space that welcomes the occasional rumble of traffic crossing just overhead, the deep bass joining the chorus of plucked strings and plaintive calls. Melián's unwavering focus on stripped-down, fragmentary elements and rigorously simple visual presentation both intensifies the viewer/listener's attention and creates space that enables the random and the ambient to seamlessly join with the work. Barkarole is a meditation on sound, time, setting, and distance, evoking both loneliness and wonder. — Ella V. Delaney is an occasional art observer currently on sabbatical in Cologne.